Aamai means Tortoise in Tamil Language this vadai resembles the shell of a Tortoise on the outside that is why it is called "Aamai Vadai".Though it is called Aamai vadai it is the paruppu vadai that is made in most of the festive occassions.Starting from weddings,upanayanams and festivals like diwali,pongal to small festivals paruppu vadai becomes part of the menu.Today being Avani Avittam it is a must in my house.It is made traditionally so there is no onion,garlic or fennel seeds like in "Masal Vadai"which is quiet similar to this Paruppu vadai. Wash and Soak the tur and urad dhal together.Soak the channa dhal seperately in water for two hours. After it is soaked well grind together tur dhal,urad dhal,red and green chillies,asafoetida and salt in to a coarse paste.If required sprinkle water to grind to gether.I usually added curry leaves while grinding. Add chopped(i added grated) ginger,curry leaves,coriander leaves and the soaked channa dal and mix well.Remove the excess water in the soaked channa before adding. Take a small portion of the dhal flatten it on your palm or in a banana leaf and drop it hot oil and fry till golden brown on both sides and drain on a tissue paper. 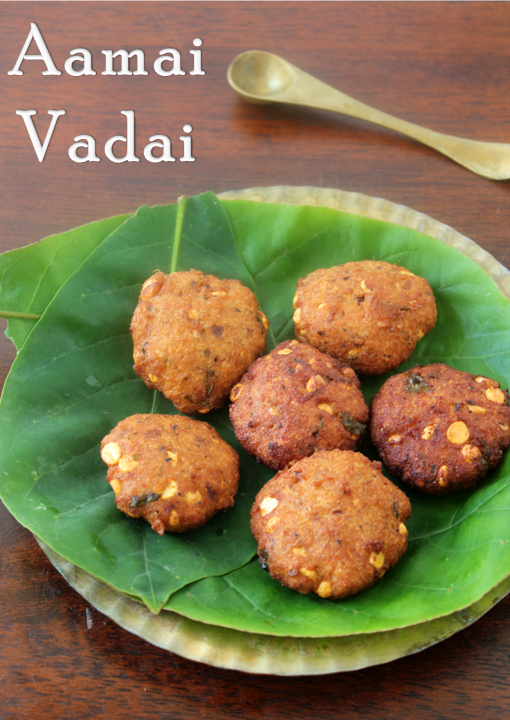 Drop three to five vadas in oil depending on the size of the vadas and amount of oil. 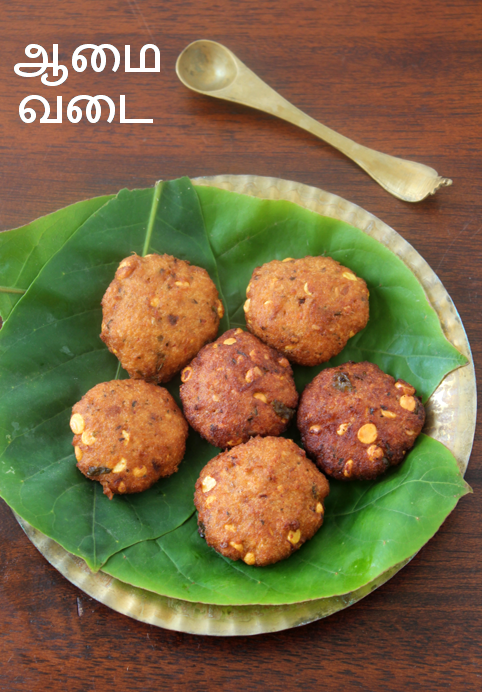 You can add some scraped coconut gratings and chopped cashewnuts to the dhal and fry the vadais. Adjust the number of green and red chillies according to your spice level. One of my favourite.. My mother used to make this when i was a kid.